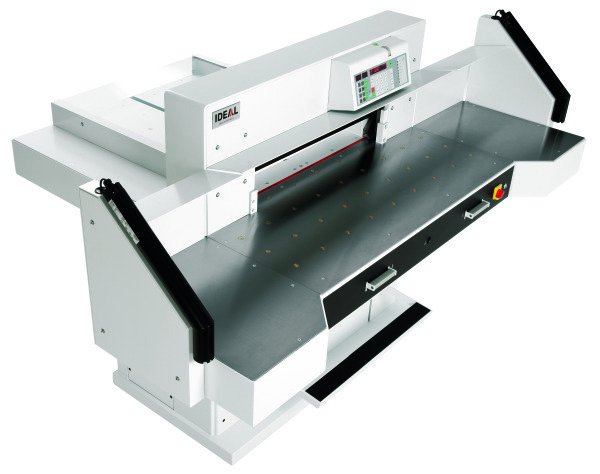 Ideal 7260 electric hydraulic paper guillotine is the new flagship paper cutting machine from Ideal, with 720mm width cut, hydraulic clamping, electronic control module, air table and IR lightbeam safety curtain. 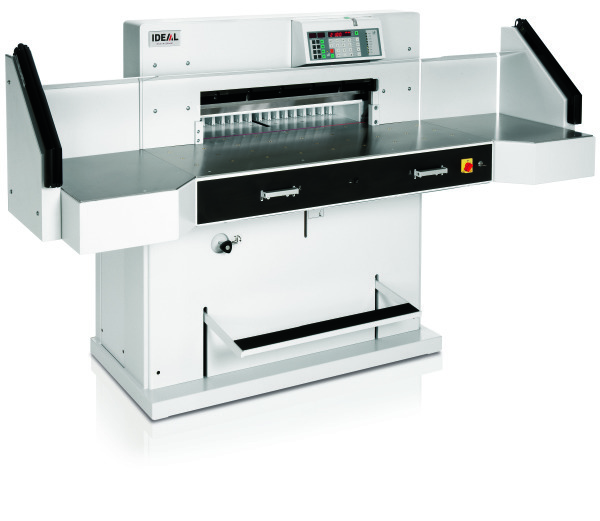 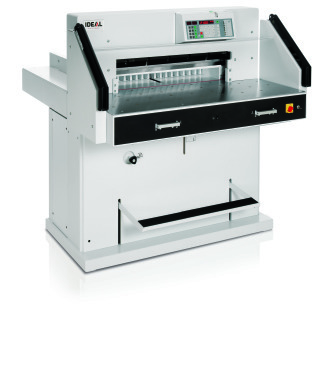 Ideal 7260 is a serious paper guillotine for the serious printroom. Optional side tables available.